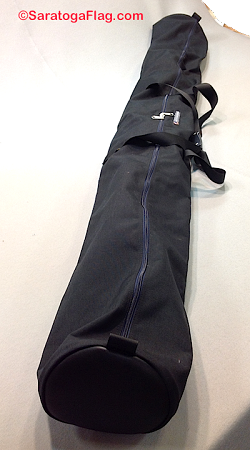 DELUXE SOFT CARRY CASE to protect your Flag Set, Banners or Poles during transport or storage. 6 Ft length x 10 inch diameter. Zipper closure. Carry handles. 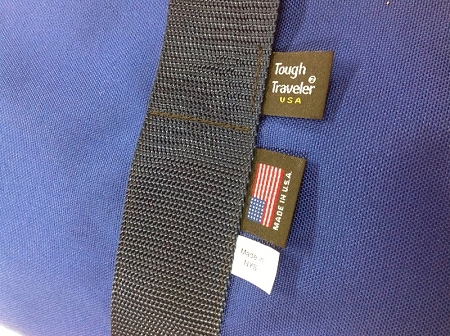 Fabric color may vary from item pictured. 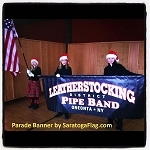 Fits numerous flags mounted to a presentation flagpole (wood or aluminum). Please call (518-792-1776) or email to confirm availability of your preferred size. 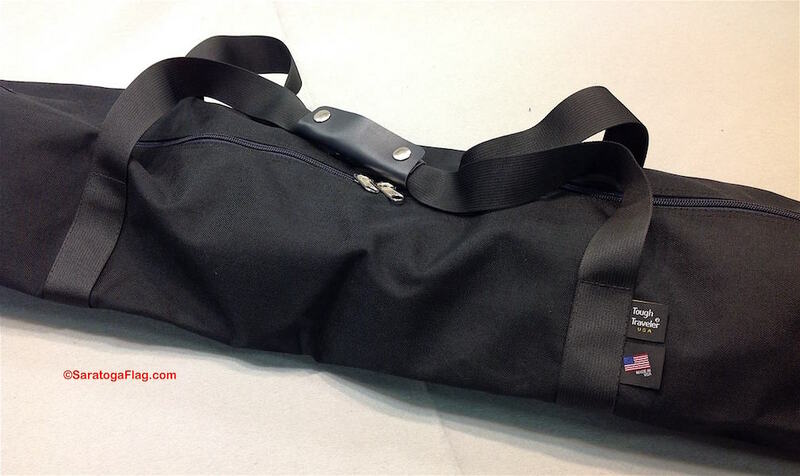 Custom bags not in stock are manufactured on demand (made to order).. NOTE: This is NOT a Returnable item. 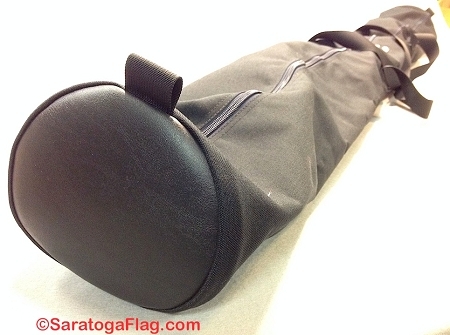 Custom manufactured by Tough Traveler® (in New York), Exclusively for Saratoga Flag.